We love these large European (Euro) shams from Jane Wilner Designs. This order is for a single Sham (26 by 26 inches). 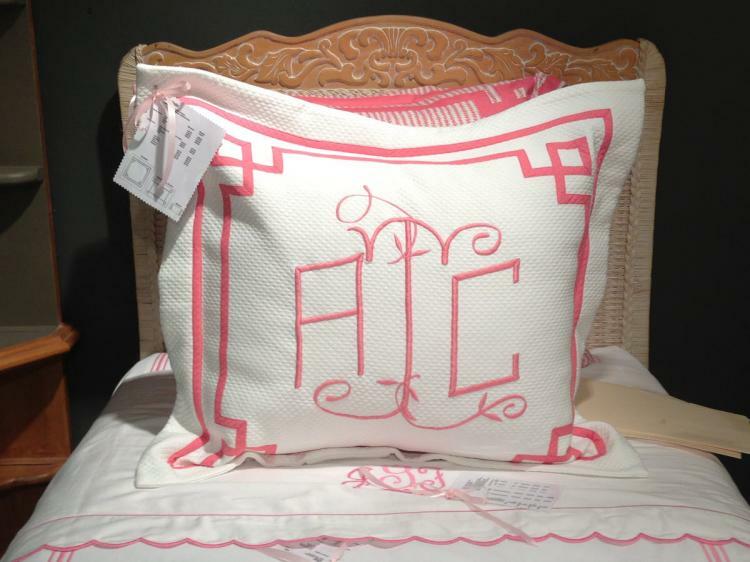 These will match the coverlets or the duvet covers in the collection. Many customers love to just add two of these on a queen bed or three across on a king bed. 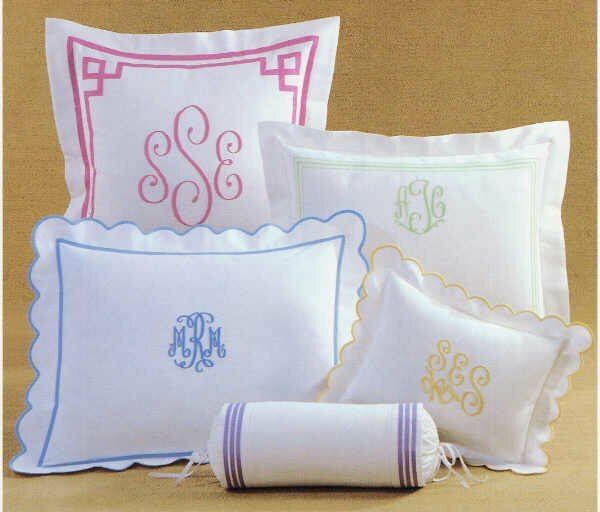 We offer the Euro Shams with a large 12 inch monogram centered in the front of the sham. 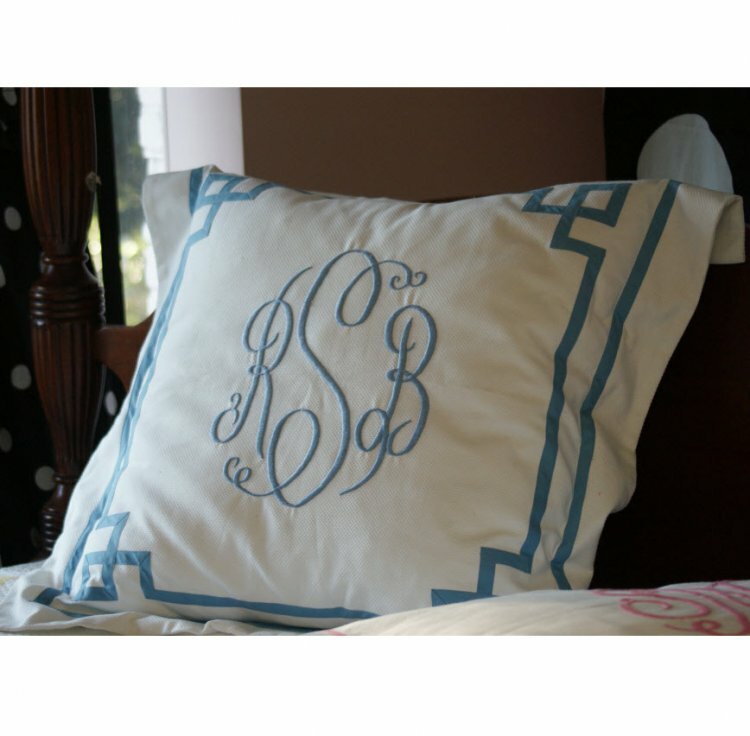 If you would like a smaller monogram on the top of the sham instead, please indicate this in the comment section. If you are creating a bedroom ensemble, stay with the Jane Wilner collection and be sure you have chosen the same fabrics for each piece. We will double check to make sure your fonts and tape selections match. This pillow will not include a pillow form. You can choose the color tape for the trim and then ask us to match the threads with the trim. The other options are to choose embroidery scallop trim. Then we will only use a thread color. Price: $250.00 In stock! 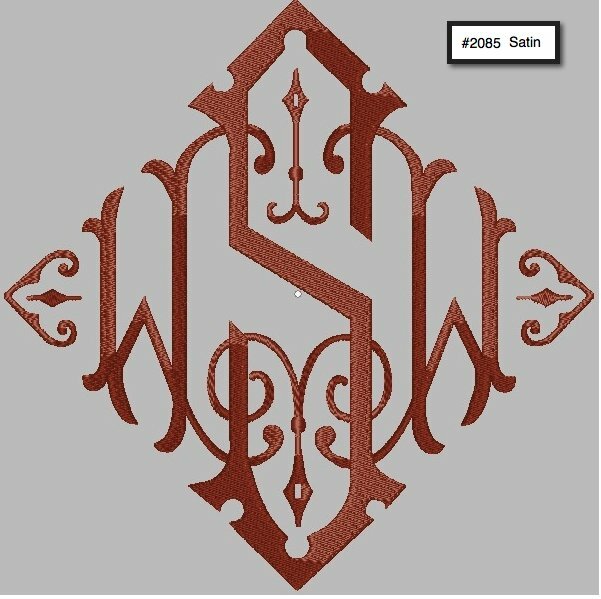 - Browse this brand: Jane Wilner DesignsOur products are custom made to your specifications. This product ships up to 7 weeks after your order is placed. Please choose a trim choice for you pillows. If you choose a tape trim then make sure you choose a type color. if you choose an embroidery trim make sure you choose a thread color. You can choose any of these patterns choices for either the Euro Shams, Standard Sham, King Sham, Boudoir or the neckroll pillow. Please note that a few choices can only use the coco fabric. This is because the trim must have a heavier fabric to hold the trim.